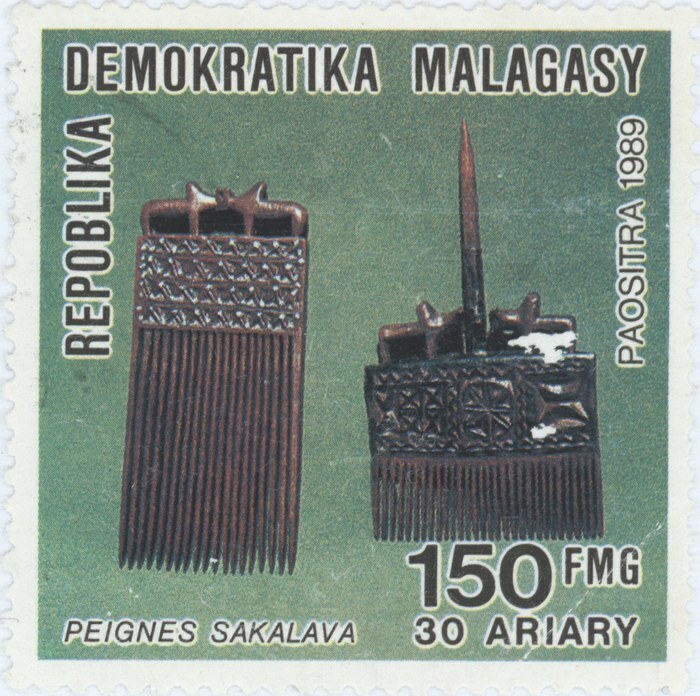 A commemorative stamp depicting a pair of Sakalava combs with decorative handles carved from wood. 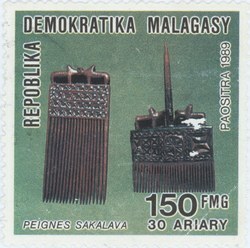 It was issued on 29 May 1989 and has a face value of 150 francs (30 ariary). The stamp is cancelled with a postmark that is indistinct.